The Child's Wolf Zip Hoodie features the Wolf Niko Akni on the back. 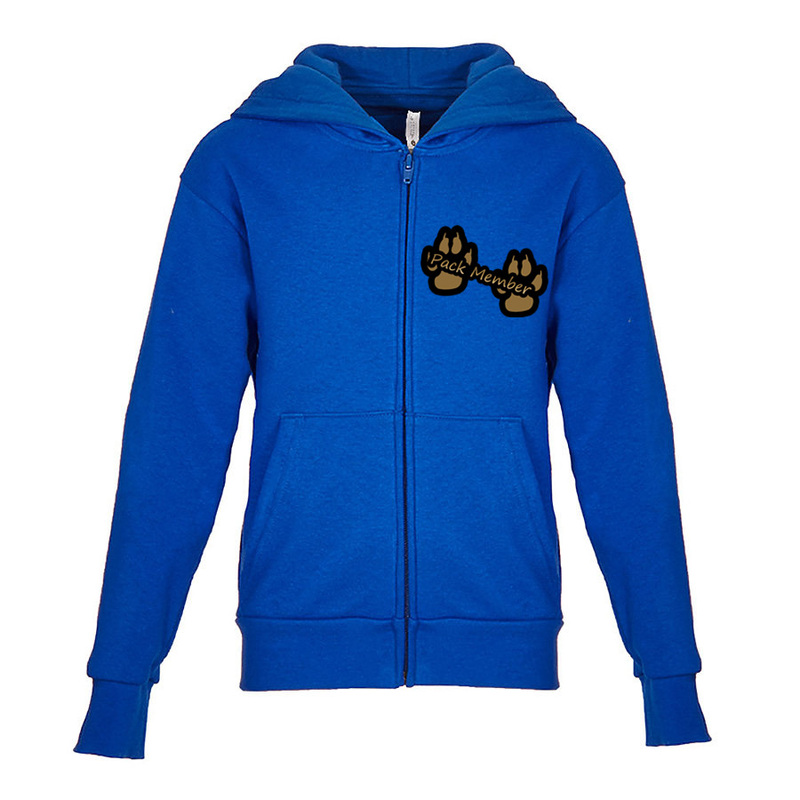 The front of the hoodie features two pawprints with the words "Pack Member" across them. This child's hoodie is a 80/20 cotton polyester blend fleece with a 100% cotton face. The hood is jersey lined. The cuffs and waistband are ribbed. Machine wash and dry inside out on the delicate cycle. Do not iron on the graphics part of the hoodie. See size chart for a good fit. This makes a really nice gift for a kid who loves Wolves.